911uk.com - Porsche Forum : View topic - Essential tools for the trunk? 911uk.com Forum Index > 993 (1993 - 1998) > Essential tools for the trunk? Cadburys chocolate (whole nut), tea bags (Yorkshire), 911 baseball cap. Whole nut tea-bagging?????? And the cap!!!!! A few bottles of mineral water? A proper torch and LED work lamp. Join PCA (Porsche Club of America) - I was a member when I lived there and owned a Porsche. I think they allow for foreign membership. Their forum is incredibly active and the help available is huge. You will never be far from someone who's willing to help. I've thought about doing this - I particularly want to drive thru West Texas. Can you let us known about the shipping costs are, temporary import and insurance? I am curious, and good luck with the trip. Ok....if you have any room after the candles are packed. Teng T1420 great quality mini socket & hex bit set. A bit expensive at £35 but handy to have on any trip - small size at approx 100mm x 60mm x 30mm. Have had and used one for years, brill bit of kit. Q-Bond adhesive kit - fab for repairing cracks in plastic & metals, plus glues rubbers, belts etc very well, all with a 10 second setting time and again small 2x10ml & 2x5ml bottles, £7.50 on fleabay. 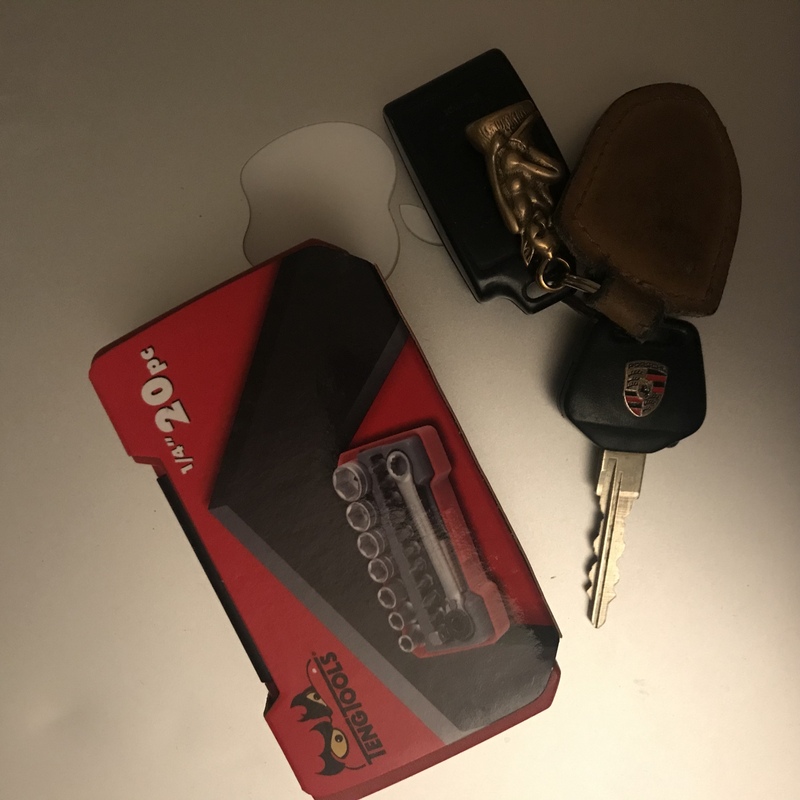 Lithium Portable Car Jump Starter - never used one but could be useful if stuck with a dead or dying battery in the middle of nowhere, as long as it doesn’t self-detonate!! Decent auto digital compressor, waiting 15 mins to inflate a tyre with the OE one gets boring real quick. Breaker bar to get wheel nuts off. Good list but you should never need a breaker bar for 993 wheel nuts. I also have one of those puncture repair kits with the fibrous plugs and co2 inflation canisters... never had call to try it yet. True but depends who last fitted them. I once needed a 6ft gas pipe, wedged on an axle stand with a rapid drop from a trolley jack to rease the nuts on my BMW when NTS had been at it. Now I fit and remove the wheels myself. Cute as the little Teng kit is, if I am going on an overseas jaunt my kit is based around the larger (the case is about 1'x5") but somewhat more useful Bahco S330 (originally recommended to me by NXI20). Currently under £30 from Amazon makes it a steal. 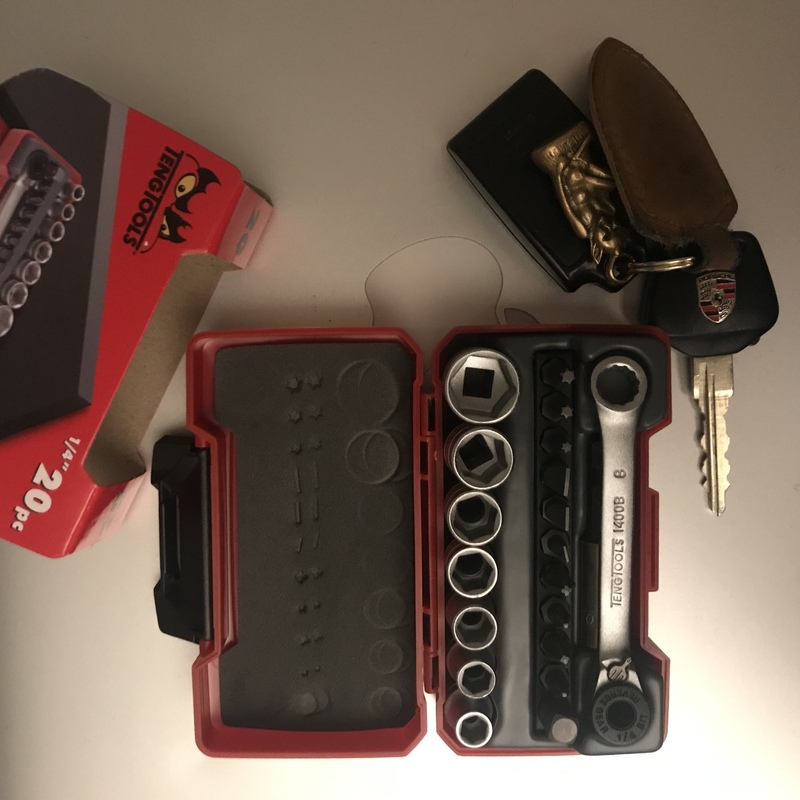 Add a strip of 3/8" sockets with any additional hex or torx heads that your car might call for and an adjustable spanner and it is most of what you could need. I also carry a longish breaker bar with a socket for the wheels and a 1/2 to 3/8 adaptor too. Cute as the little Teng kit is, if I am going on an overseas jaunt my kit is based around the larger (the case is about 1'x5") but somewhat more useful Bahco S330 (originally recommended to me by NXI20). Currently under £30 from Amazon makes it a steal. Great recommendation. I've been looking for something to replace my old tool roll and considered the Teng T1420 as mentioned earlier in the thread, however I wanted something with a little more capability. Bahco S330 arrived today for less than £30 and the quality and compactness is perfect.